Individuals living with physical disabilities or special needs have unique care requirements. In many cases, mobility is limited and skilled care is required. 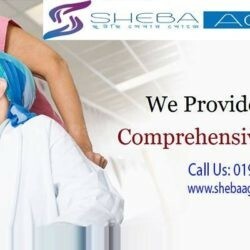 At ShebaLagbe, together with our highly personalized approach to care, we provide comprehensive case management and disability assistance for our clients – such as Spina Bifida, amyotrophic lateral sclerosis (ALS), Cerebral Palsy and spinal cord injuries — giving them the resources they need to live as independently as possible. All times are GMT 6. The time now is 8:39 am.